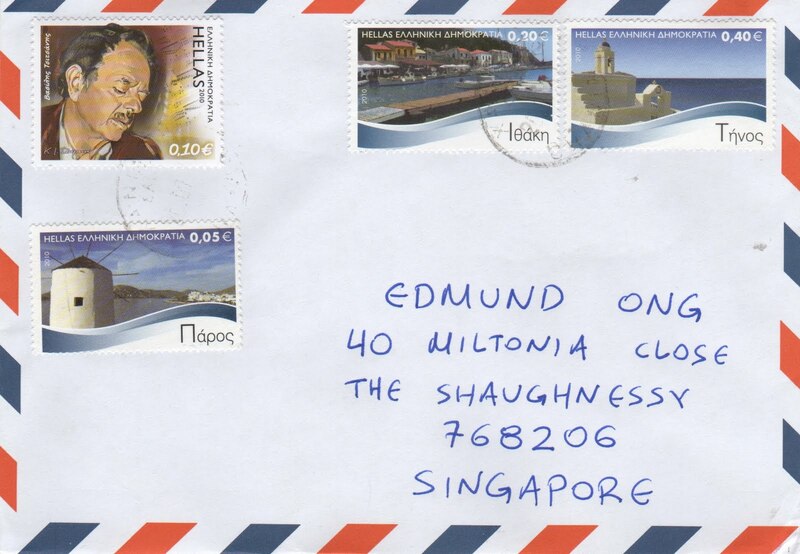 Many thanks to Spyros for this awesome cover posted from Chania, Crete Island, Greece! 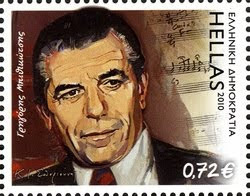 The beautiful stamp affixed on the top left corner belongs to the "Greek Popular Music" series. 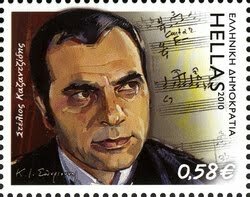 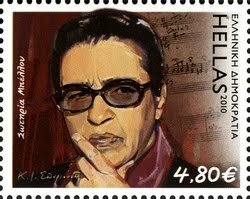 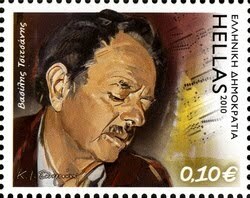 Issued on 16th Sept 2010, this stamp depicts one of the leading Greek composers, Vassilis Tsitsanis (1915-1984). 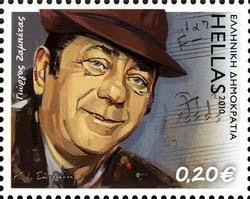 Tsitsanis wrote more than 500 songs and is widely regarded as one of the founders of modern Rebetika. 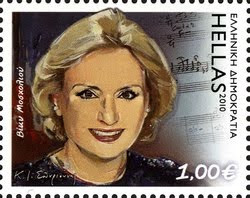 The other stamps in this set features Giorgos Zampetas (0.20 euro), Stellos Kazantzidis (0.58), Grigoris Bithikotsis (0.72), Vicky Moscholiou (1.00) and Sotiria Bellou (4.80). 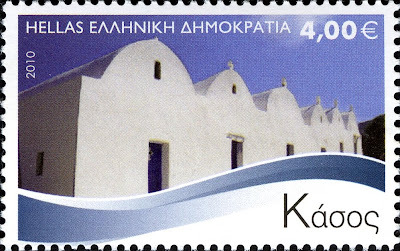 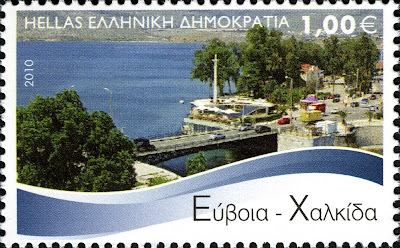 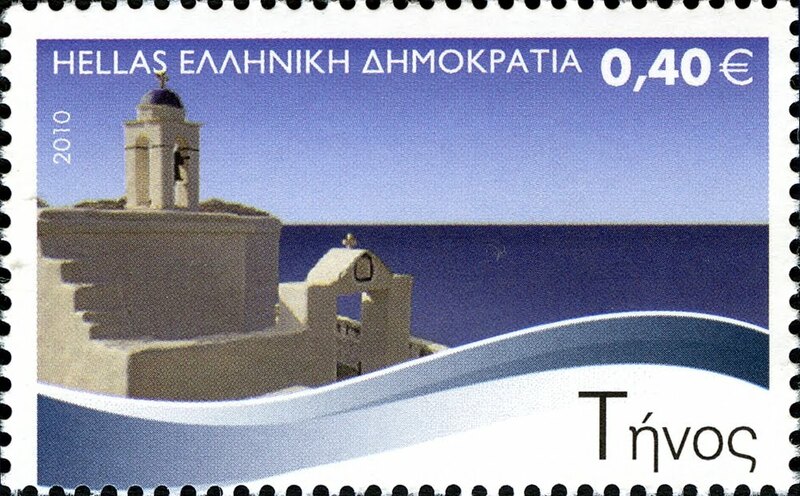 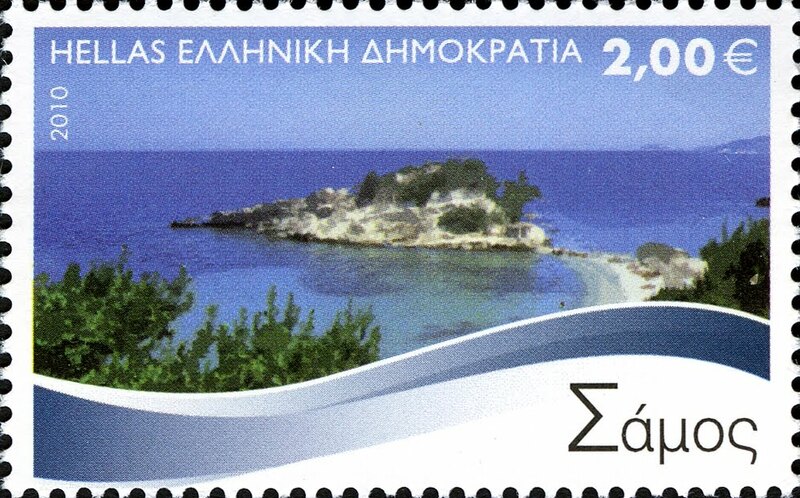 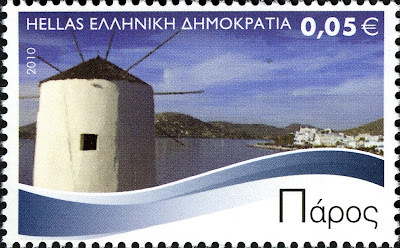 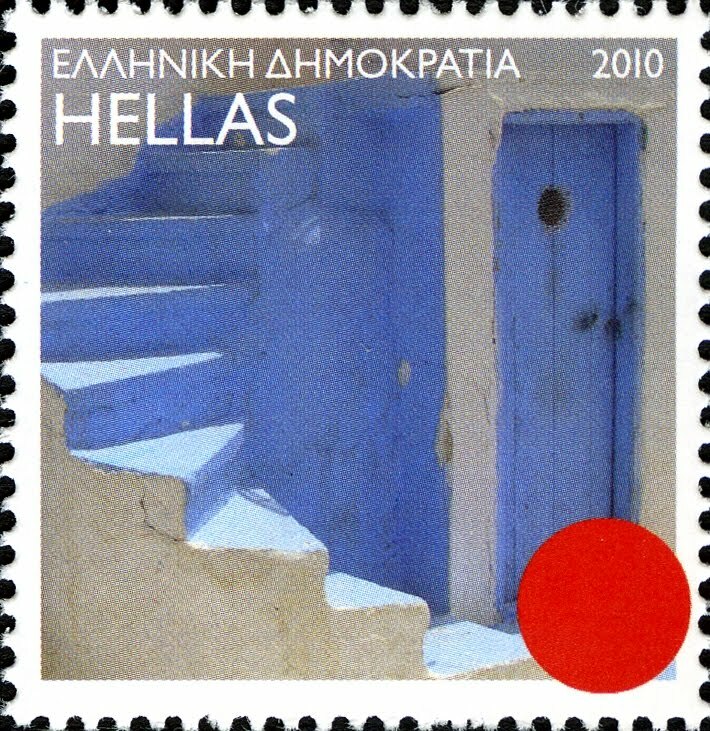 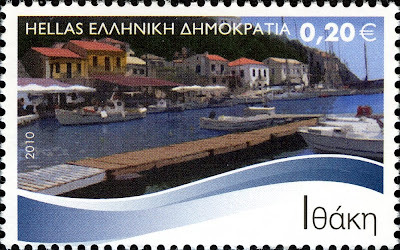 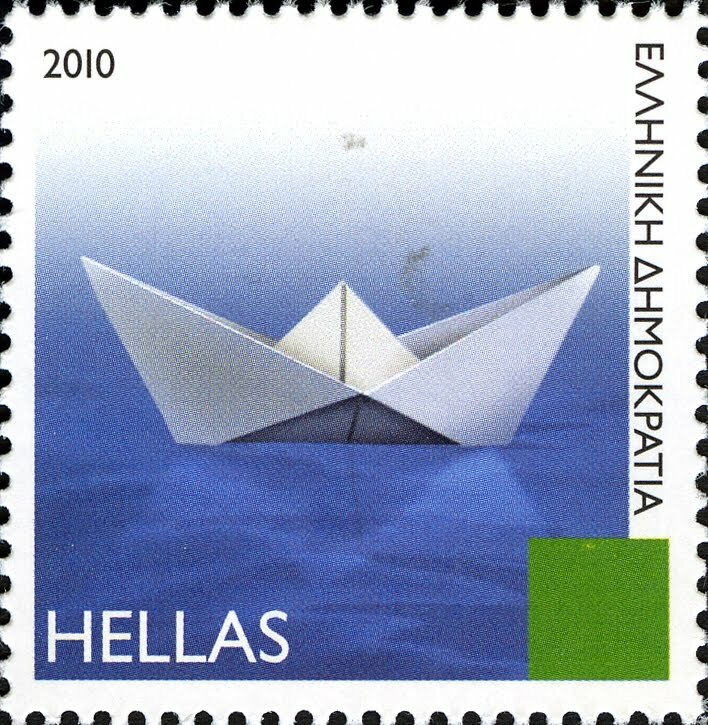 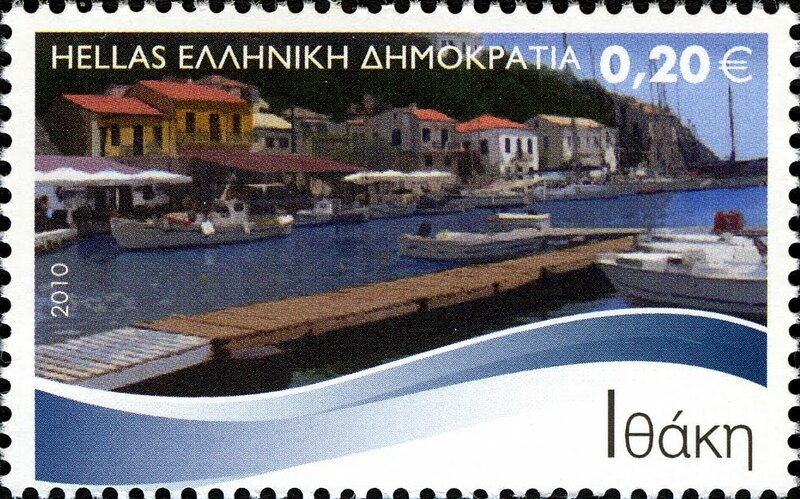 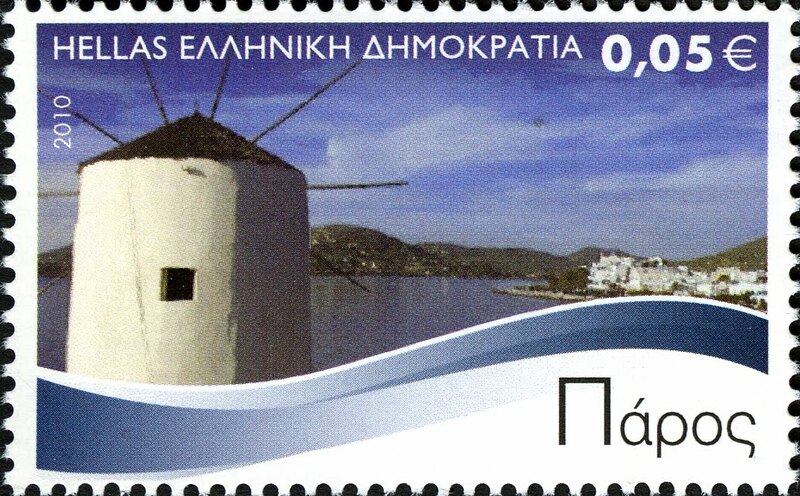 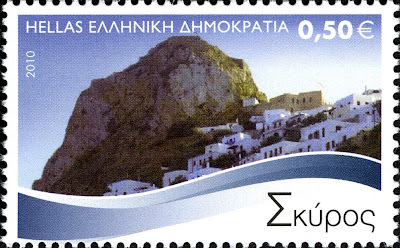 Next on the cover are three lovely stamps from the "Greek Islands" series, issued on 14th Oct 2010. They depict the Greek islands of Paros (lower left), Ithaki (middle) and Tinos (top right). 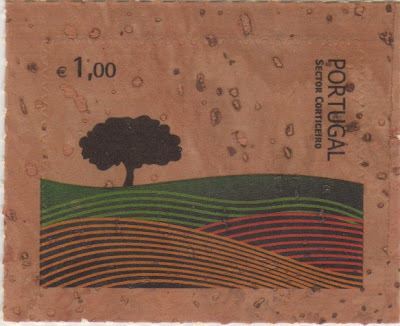 That's all folks! Enjoy your weekend! 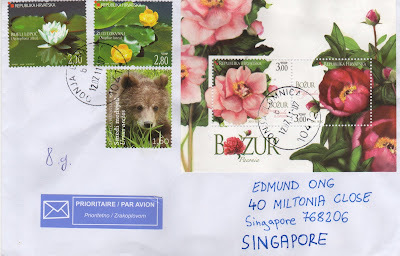 It has been a while since I received a cover from Croatia. 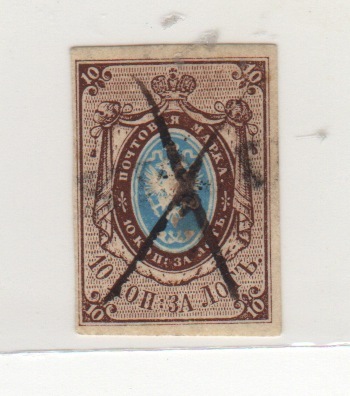 This time it was posted from the city of Donja Lomnica. 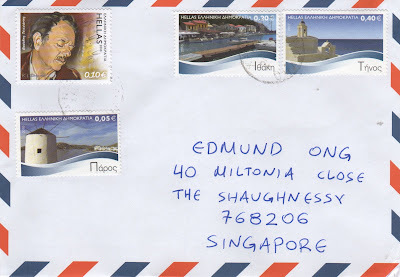 Many thanks to Ivana Perunski! 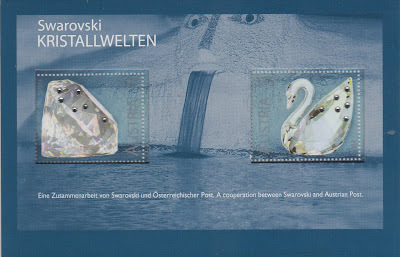 On this cover, the two stamps on the top left belong to the "Croatian Flora" series, issued in 2006. 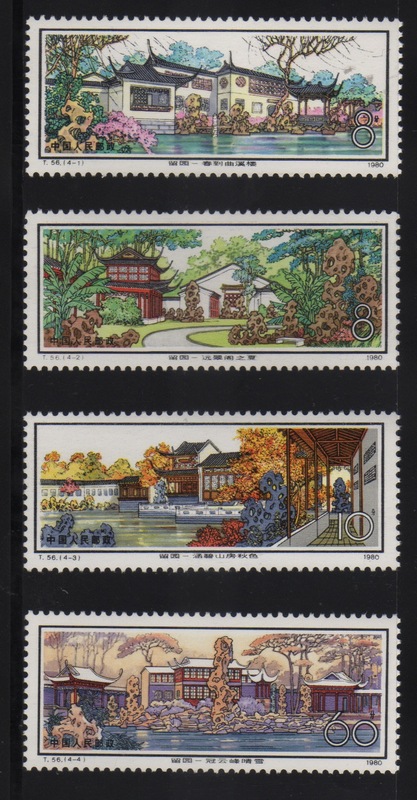 They show the White Water Lily and the Yellow Pond Lily respectively. 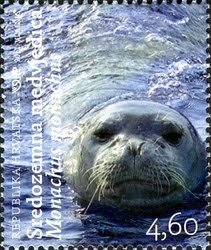 The brown bear stamp was issued on 15 March 2011 from the "Croatian Fauna" series. Another two stamps that depict the Eleonora's Falcon and Mediterranean Monk Seal make up a set. 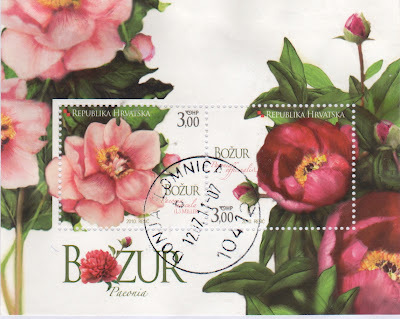 The lovely miniature sheet, entitled "Peony Flower of Croatia" was released on 8 March 2010. 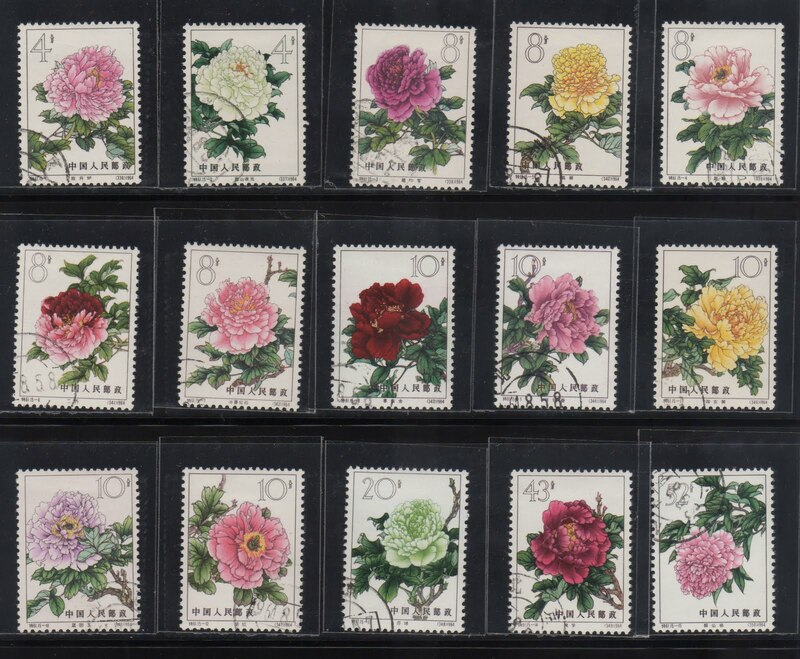 It features the Wild Peony and Common Peony. 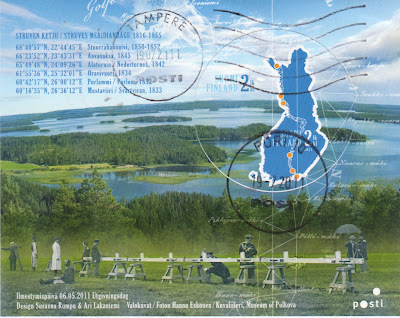 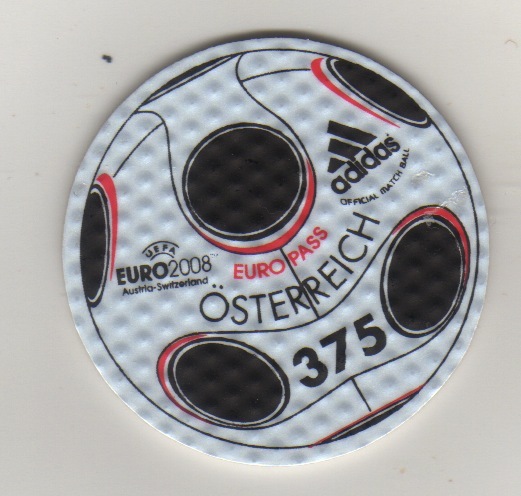 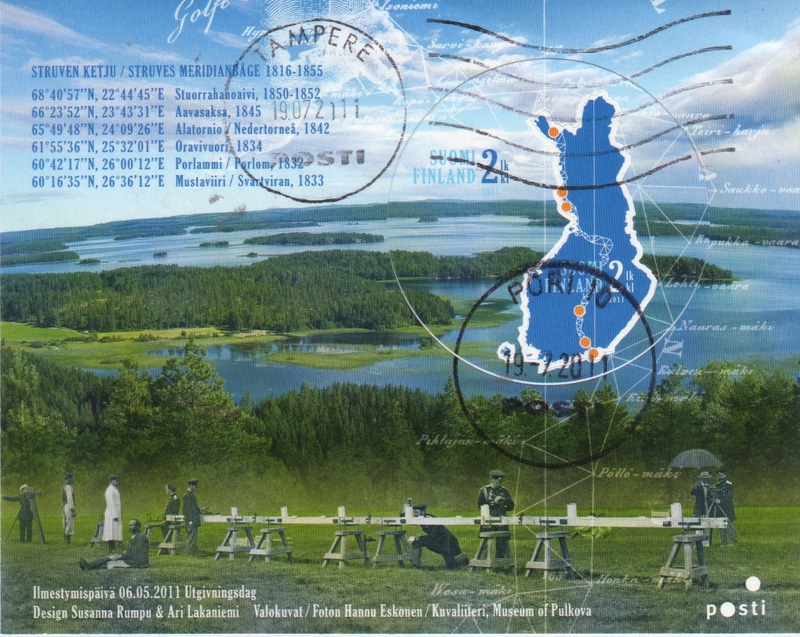 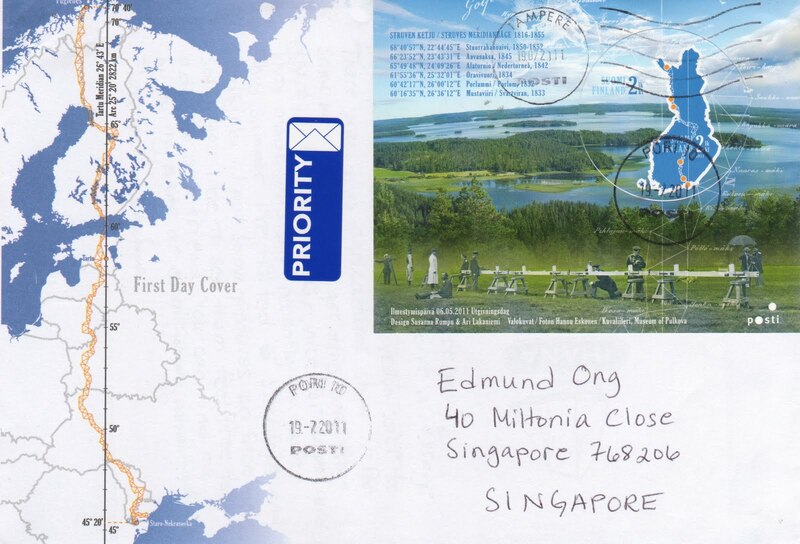 This cover was postmarked on 12 July 2011 and took 17 days to reach me. 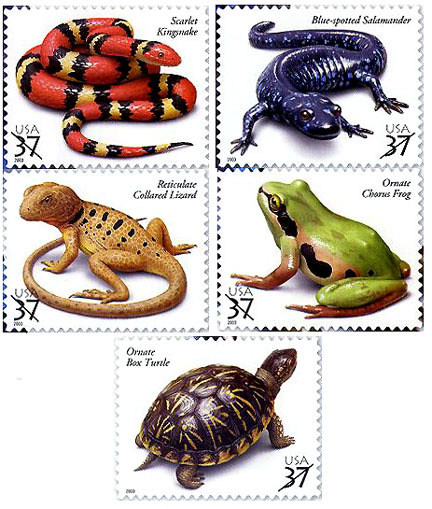 On 7th Oct 2003, the United States Postal Service issued a beautiful set of 5 stamps, entitled "Reptiles and Amphibians". 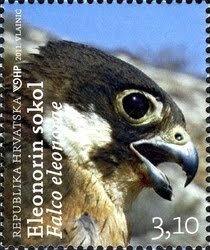 One of the stamps depict the Ornate Box Turtle. 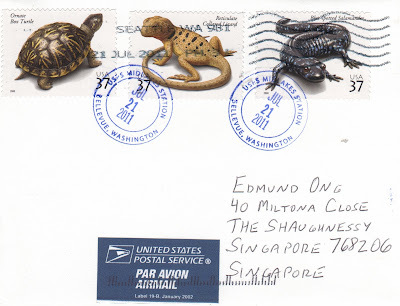 Knowing that I love Turtle stamps, Bryon Peterson affixed the Ornate Box Turtle stamp on his latest cover to me. Thank you very much! The other two stamps depict the Reticulate Collared Lizard (center) and Blue Spootted Salamander (right). 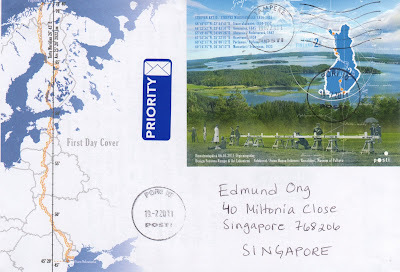 This cover was postmarked on 21 Jul 2011 in Bellevue, Washington, U.S.A. and took only 5 days to reach me. Once banned by Mao Zedong as a bourgeois activity, stamp collecting has become increasing popular in China in recent years. 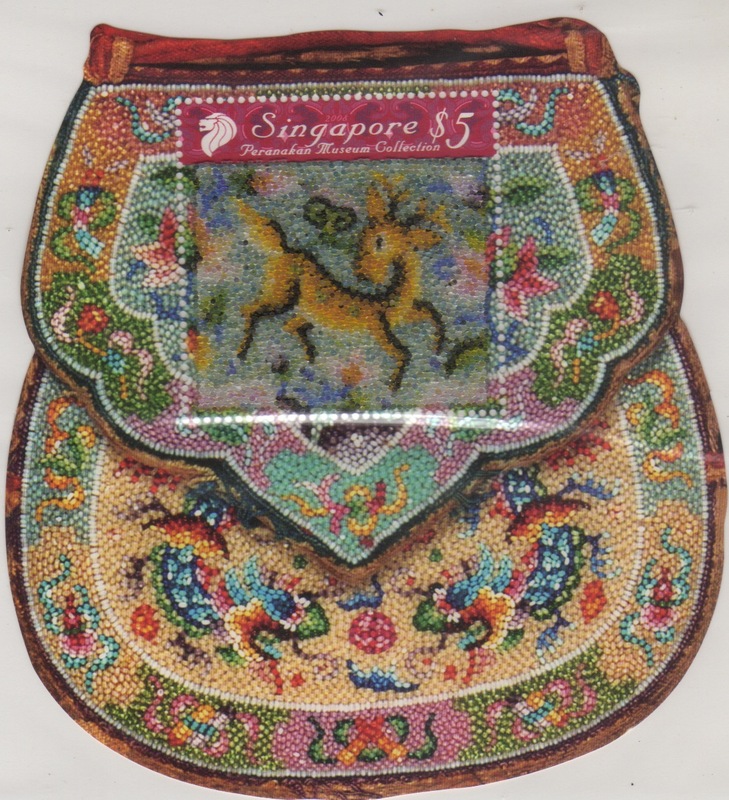 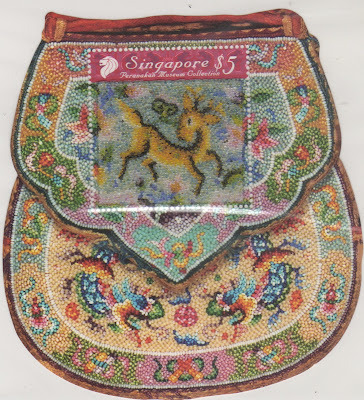 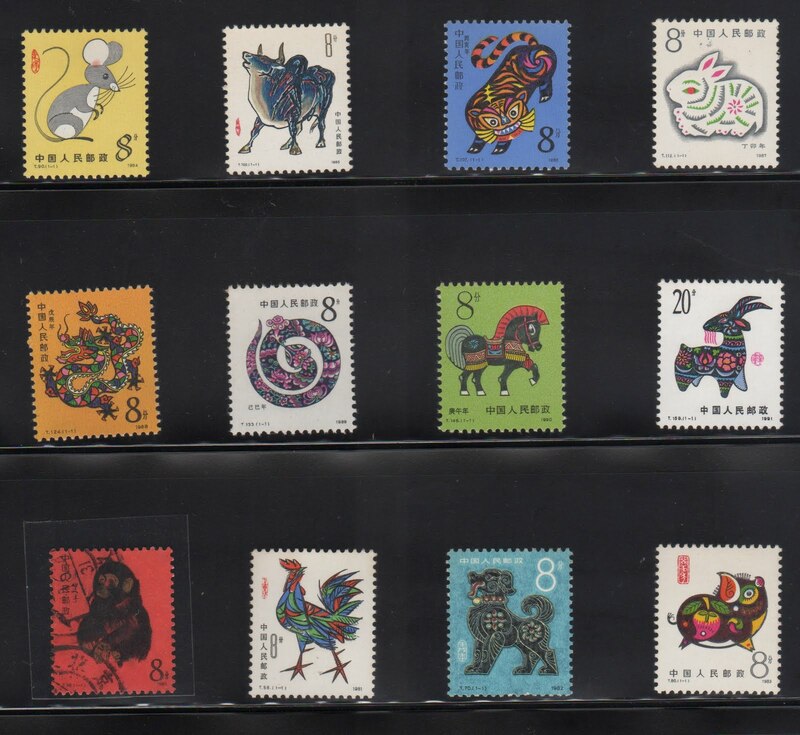 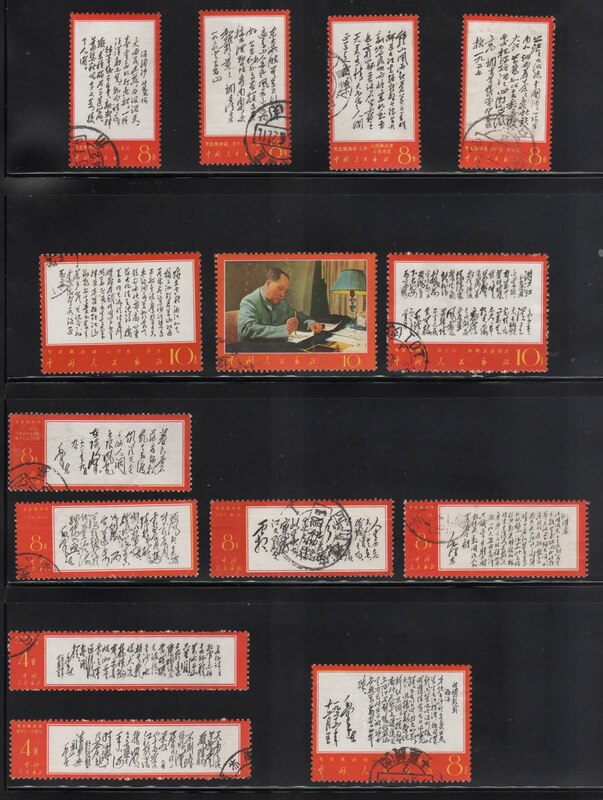 While early collectors were from Hong Kong, Taiwan, and the International Chinese diaspora, some important Mainland Chinese collectors are today "repatriating" stamps, in the same way that others are bringing back Chinese artworks. According to the All-China Philatelic Federation, there are about 50,000 philately association in the country, comprising more than 20 million collectors. 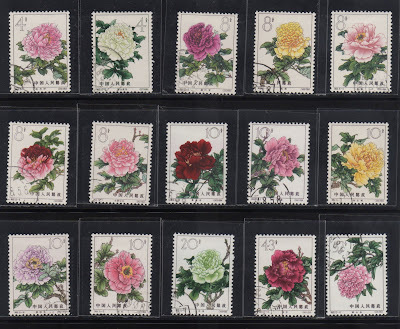 Guess it must be an exciting time for both Philatelists and investors! 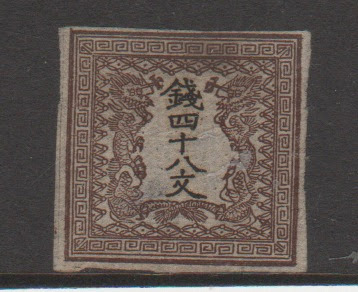 However, experts warn what's in the attic probably isn't worth very much. 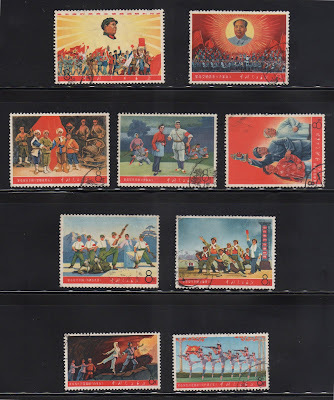 Unless it's from the "cultural revolution" period or form the Qing Dynasty. 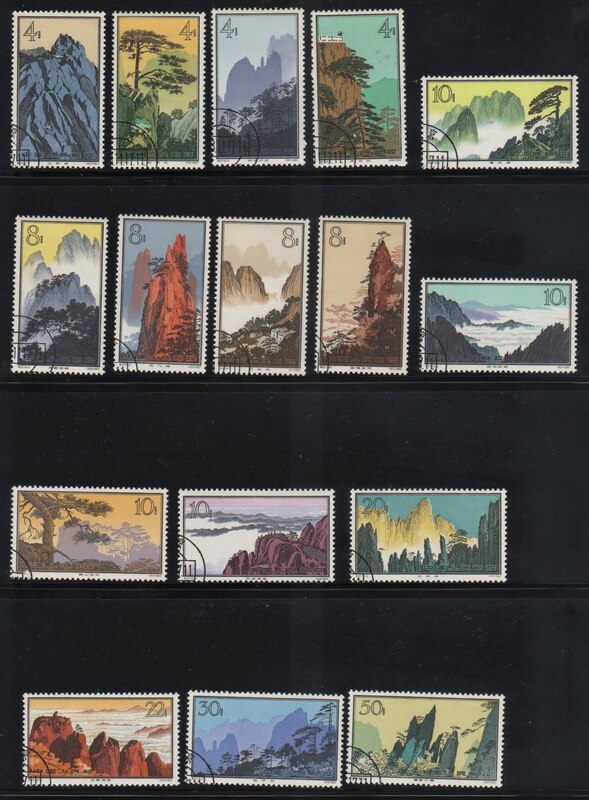 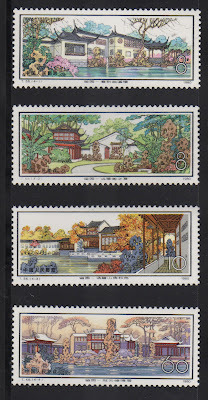 I am lucky to own a few good Chinese stamps and here is my Top Ten list. 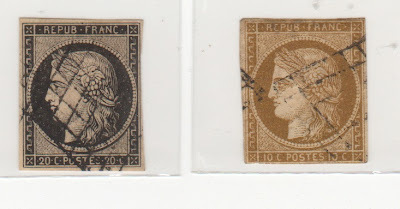 Having shared with you guys some of my unique and strange stamps... now pls also check out my top ten first issues! You may have thought that # 1 would be the first but that is not always the case. As a matter of fact, Scott # 3 (above left stamp) was one of the first two stamps issued in France! Scott # 1 (right) was issued on Sept 12, 1850. The stamps were printed using two plates for the Dragon and one plate for each value. 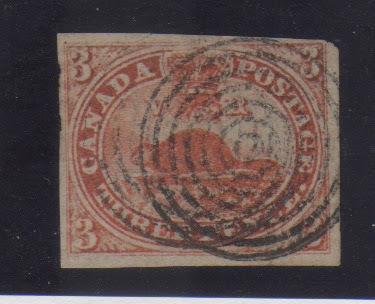 The stamps have earned the nick-name "Bull Eyes", or "Olhos de Boi" in Portuguese. 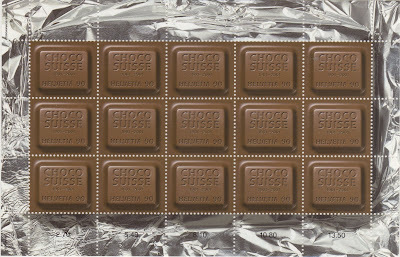 The 4 rappen stamp is inscribed Local-Taxe and was used for mail within the city of Zurich. 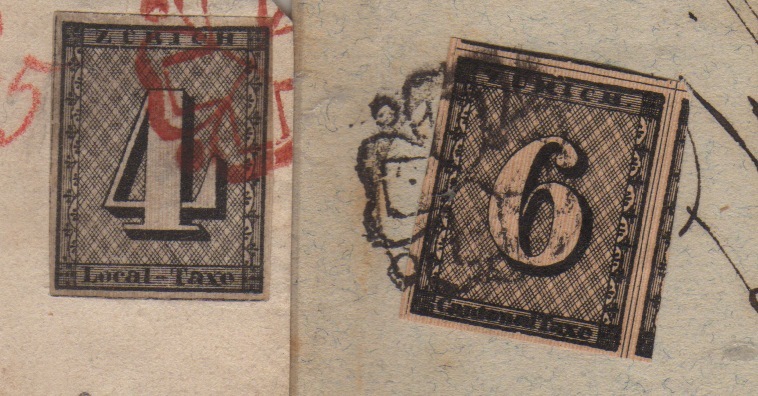 The 6 rappen is inscribed Cantonal-Taxe and was used for mail within the canton, but outside of the city. The people of Geneva were reluctant to use these new stamps, so from March, 1844 they were sold for 8 centimes even though the face value is 10 centimes. 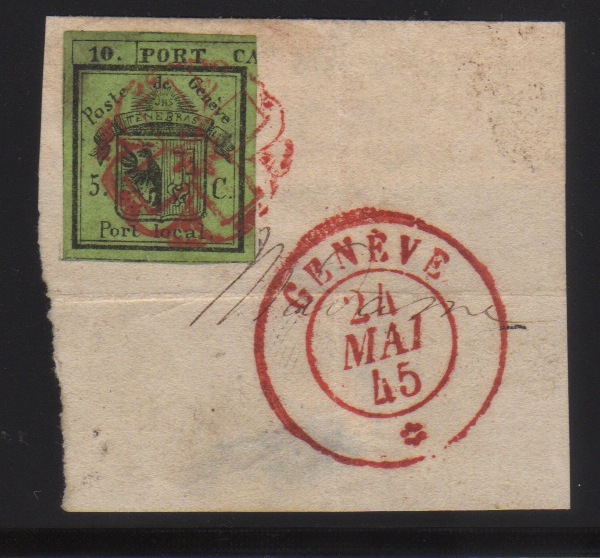 A half stamp, face value 5 centimes, was sold for 4 centimes. 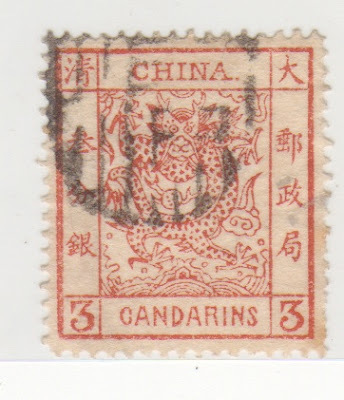 The half stamp was only valid within a locality, the whole stamp was valid for mail between localities in the whole canton. Covers, especially with double-stamps, are exceedingly rare. 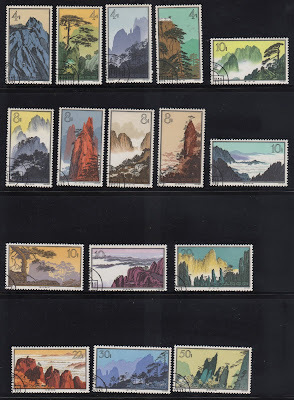 The 5-cent stamp paid for a letter weighing less than 1 ounce and traveling less than 300 miles, the 10-cent stamp for deliveries to locations greater than 300 miles, or, twice the weight deliverable for the 5-cent stamp. 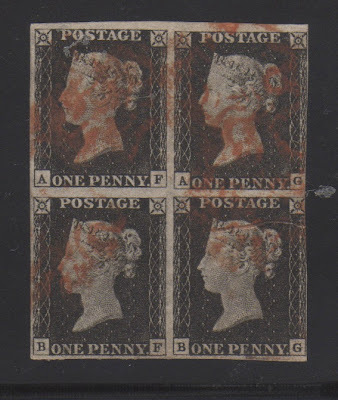 Penny Black stamps were first issued in 1840 and named so, due to it costing one penny and made entirely with black ink. 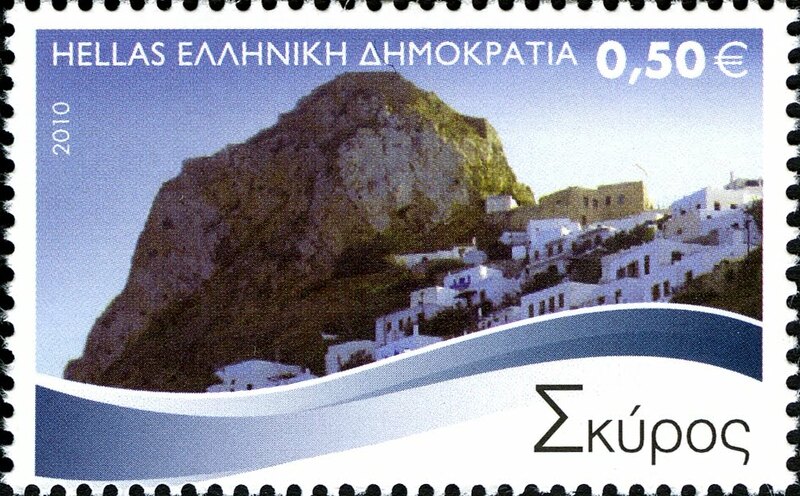 This stamp was the world's earliest prepaid, gummed postage stamp of a public postal system. Last night, I was looking through my stamps collection and so I thought I would share with you some of my unique and strange stamps. 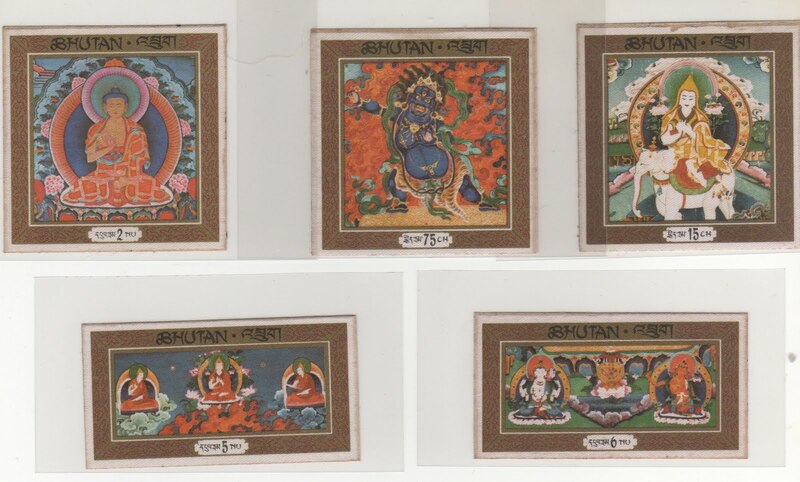 The small Himalayan nation of Bhutan is famous for its stamps, including the first ever silk stamps, made of Bhutanese thangkas. The first Steel stamps from Bhutan! 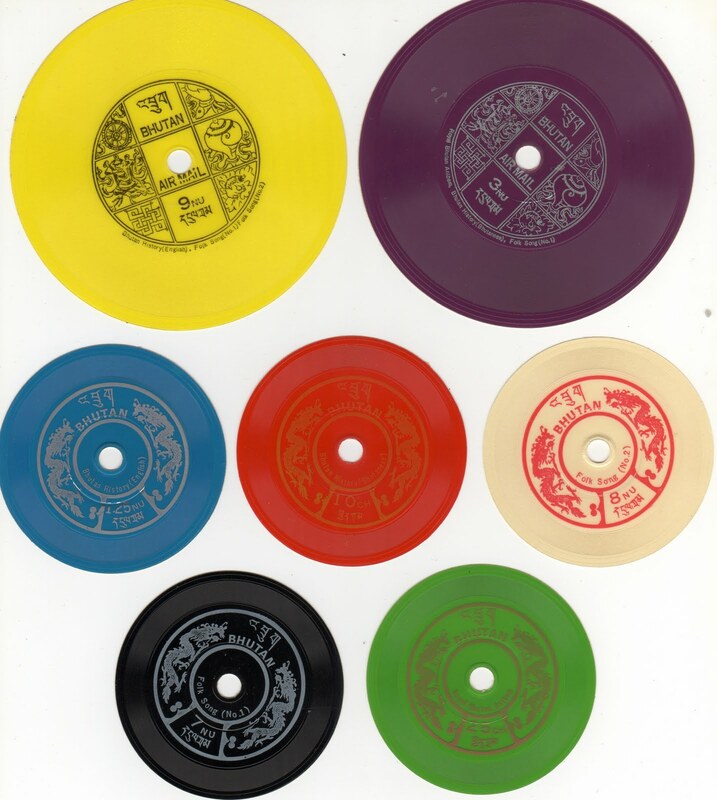 The first "talking" stamps, tiny vinyl records that played Bhutan's national anthem and a brief history of the country when spun on a phonograph! 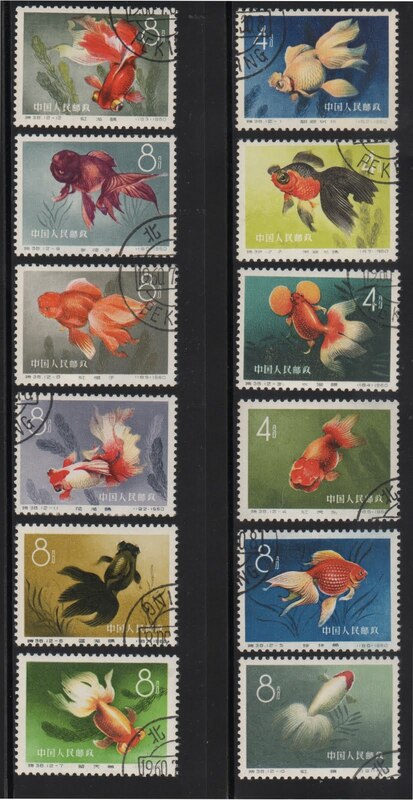 Who says Stamps collecting is Boring?